Do you like to cook? Do you like working with people? 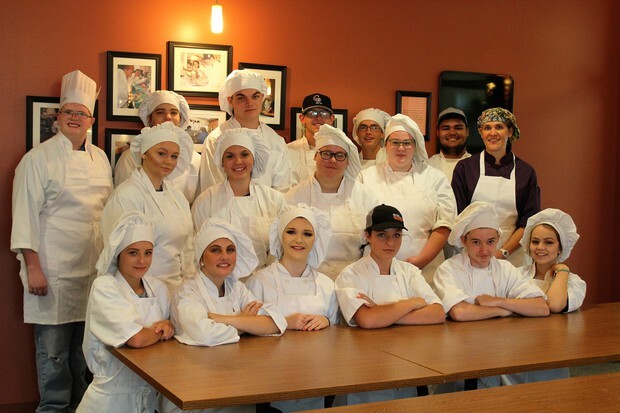 The Culinary Arts program gives students experience working with the public in a licensed, school-based restaurant. Students operate and maintain the kitchen and dining room. 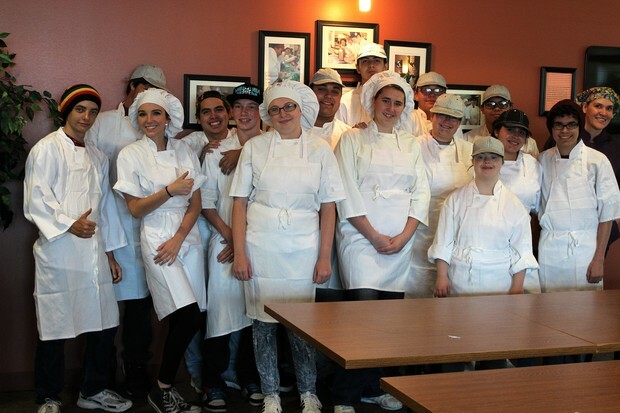 The morning students are involved in food preparation and baking for the restaurant (COYOTE CAFÉ) and catering. Afternoon students do line cooking and serve customers, as well as catering. Students earn a Certificate of Course Competency. Prep Class: Mod 1 Students learn basic cooking and baking techniques and how to identify ingredients. They learn how to read recipes and earn their Food Handler card thru the MCHD. Restaurant Class: Mod 3 Students learn how to operate Coyote Cafe, our on-site restaurant. They learn customer service skills as they wait on customers in the restaurant and line cooking skills as they prepare customer's food orders. Call the Coyote Café with your catering needs. Coyote Cookies are $5 per dozen. The Coyote Café is student-run restaurant, please be patient while we learn. Tips are greatly appreciated to help students with their lunches and student functions.